World Tuberculosis Day was created by the World Health Organization to spread knowledge and awareness of tuberculosis, an infectious disease that kills millions every year. Tuberculosis is easily curable, but it can lie dormant and undetected for years, so it’s important to spread awareness. The World Health Organization chose March 24 as World Tuberculosis Day to commemorate the day Dr. Robert Koch discovered TB bacillus, the bacterium responsible for the disease. The World Health Organization holds the first World Tuberculosis Day to commemorate the 100th anniversary of Dr. Koch’s discovery. The BCG vaccine is first used on humans after 13 years in the making. 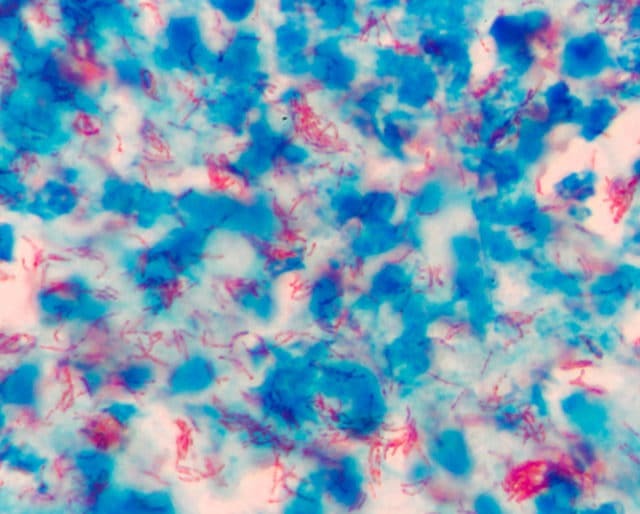 Dr. Robert Koch discovers TB bacillus, the bacterium that causes tuberculosis. Disease prevention always starts with you. Testing for tuberculosis is simple, and is sometimes required for travel or job applications. It’s always a good thing to have on your medical records and not in your lungs. Many people with TB don’t even know they have it. Latent tuberculosis can lie dormant for years without a single symptom. This is why it’s important to spread awareness about how to get tested and treated. With any disease, prevention is the best cure. Events are held to spread awareness and raise funds all around the world on World Tuberculosis Day. If you can’t find one, organize one yourself. There are many organizations dedicated to the eradication of TB that are always looking for volunteers and donations. It may seem like an outdated disease, but around one-third of the world’s population is infected with tuberculosis. It’s estimated that 2 billion people have tuberculosis. In 2016, 10.4 million people contracted TB, and there were 1.7 million TB related deaths. Although TB is a bigger problem in third world countries, its impact stretches closer to home than you might think. In 2014, there were 9,412 new cases of TB in the United States. In 2016, Tuberculosis was reported in all fifty states, with California, Texas, New York, and Florida topping the list. Due to its outdated misconception, tuberculosis is not seen as a relevant issue. Spreading awareness about the disease can help those at high risk seek treatment. If those who are likely to be affected get vaccinated, the disease could be eradicated, and we could see an end to tuberculosis in our lifetime.